My HomePod arrived! I’ve been eagerly awaiting this product ever since buying an Amazon Echo in July of 2016 (more on that later). Apple is very late to the game with these smart speakers, so, how did they do? Let’s start with the sound – Apple is positioning this as a speaker first and foremost, and touting the audio quality. They totally nailed this part of the HomePod. This speaker sounds amazing and fills the room with high quality sound. Much better than the Echo (though granted, my Echo is a first generation one!). I couldn’t be happier with the speakers. The only audio input is Airplay, not a big deal compared to the Echo but the difference is the Echo works with third-party apps like Pandora. With the HomePod, you don’t get access to any of that directly (you’d have to use it on your iPhone or other device and use Airplay to send audio to the HomePod…no thanks). How well does the voice recognition work? Surprisingly well! It picks up my voice easily, a little better than the Echo I’d say. The HomePod uses the same ‘Hey Siri’ trigger as my iPhone and iPad and I wasn’t sure if this would cause confusion…it doesn’t. I often notice those devices waking up when I say ‘Hey Siri’, but they seem to be coordinating responses with the HomePod and only one device responds to me (usually the HomePod, even when the iPhone and iPad are closer). The Echo has a light ring on top that illuminates when it’s listening, which I’ve really gotten used to and like…the similar feature on the HomePod is on top of the device and completely invisible if you’re not towering over it – useless. So like most Apple products, you’re required to just put faith in the device that it’s working…and yes, it usually picks up my voice just fine! I’m just so used to a visual indicator, this is taking some getting used to. The HomePod has superior, perfect audio, but the Echo has the edge in usability since it’ll work with third-party music apps and other extensions. The HomePod really limits what you can do. To get the most out of it, you need an Apple Music subscription at $10 a month…I wouldn’t bother getting a HomePod otherwise. Apple Music itself is surprisingly good, but if you’re not sure, just sign up for the three month trial and check it out using your iPhone or other device, before buying a HomePod. Turn on iTunes Music Library and all the music in your iTunes library will be available to the HomePod via iCloud. I’m really surprised at the quality of playlists Siri is serving up to me when I just ask for a particular genre, or nothing specific, just ‘play some music’! If you’re already invested in the Apple ecosystem, the HomePod is a logical addition. Yes you need to fork over the $10/month for Apple music to get the most out of HomePod (otherwise you just have access to purchased music), but it’s a quality music service and you’ll also enjoy that on your other iDevices. The HomePod will give you access to your reminders but not calendar events…it actually seems a bit limited though I expect that to improve dramatically in the later half of this year. 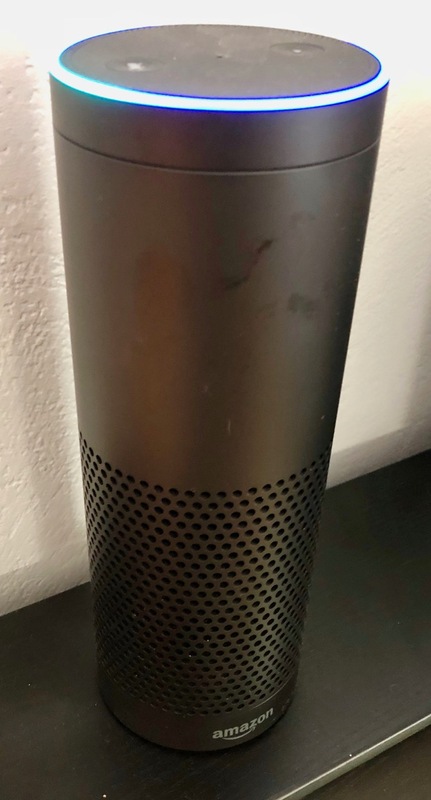 The Amazon Echo is a solid device and great if you want to access a variety of music services. It wasn’t able to connect to the reminders on my iPhone though, a big negative for me. Google also makes a smart speaker, the Google Home. I didn’t have access to one of those to test though. I haven’t been impressed by the fragmentation of Google’s Android OS and its lack of security compared to Apple…I feel they make money by selling ads, which increase in profitability as your privacy decreases…I don’t like that business model, people making money on *me* instead of by selling me stuff like Apple and Amazon do. What about privacy? Neither company appears to be trying to make money from your personal data. Well Amazon kinda is, but really they just want you to use the Echo to place orders for stuff on Amazon. Historically, Apple has a great reputation for protecting user privacy and pushing out frequent software updates. The concern here would not be with either Amazon, Google, or Apple listening in on you, but rather, hackers taking over your speaker. Why they’d want to listen to me though, I really don’t know. If you live a life of crime, be smart and don’t invest in any smart speaker or smart TV! My house has a ton of smart lights in it; I’m having trouble getting HomePod to control those as consistently as the Echo. I need to work on that one more, it’s strange…I don’t think it’s a Home App problem, for my iPhone and iPad seem to work better than the HomePod. So…yeah…I’m a big fan of smart speakers. If you’re considering getting one and you like Apple Music at $10 a month, and you have an iPhone, the HomePod is perfect, though at $349, it’s not cheap (but the sound quality DOES justify that!). 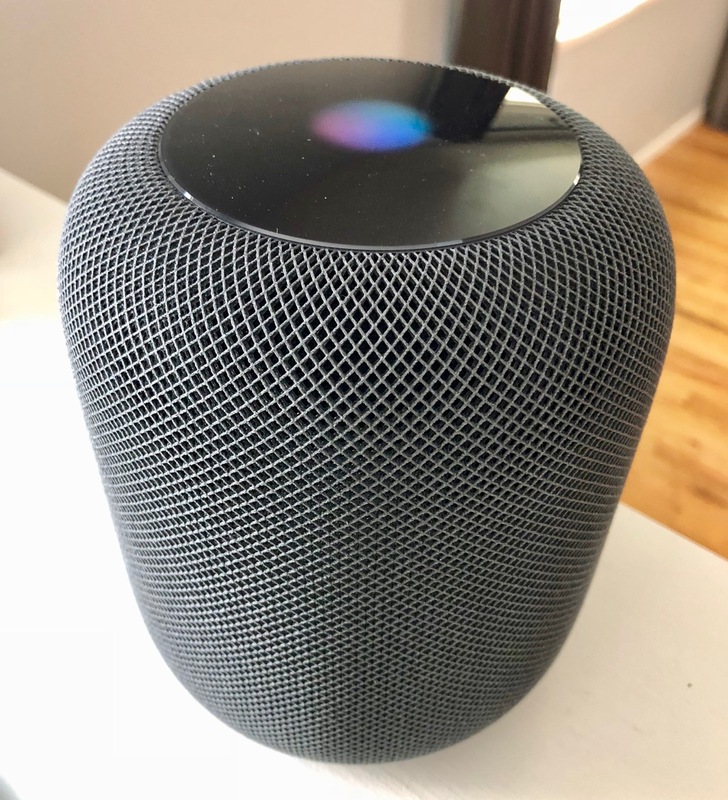 Otherwise, I’d recommend the Echo (price varies on model, up to $150), or wait until later in the year; I expect Apple will open up the HomePod to third party apps at their developer’s conference in June when they make software moves like that.